LAWRENCE — Black Friday is still an important day for retailers, but online shopping and other trends have forced retailers to adapt and even expand their tactics during the busy holiday shopping season. 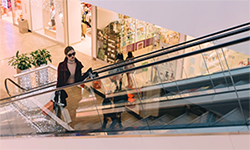 University of Kansas School of Business researchers in marketing are available to discuss the Black Friday, Cyber Monday and the holiday season’s retail forecast. Kristen Helling, lecturer in marketing, said the National Retail Federation expects 2017 holiday sales to increase between 3.6-4 percent over 2016 and generate between $678.8 billion and $682 billion after 2016 saw growth of 3.6 percent — slightly above the past five-year average of 3.5 percent. Rather than targeting specific offerings on specific days, retailers will likely offer the same promotion both in store and online throughout the five-day weekend, she said. “A consumer will still see specials for Black Friday and Cyber Monday, but many retailers are trying to capture sales throughout the entire weekend rather than on one particular day,” Helling said. Online shopping and gains during Cyber Monday might be the bigger story, she said, and retailers are still trying to figure out how to adapt to remain competitive in a changing environment. Jessica Li, KU assistant professor of marketing & consumer behavior, said the trend in recent years to extend Black Friday deals beyond that day has led to sales starting even earlier and ending later. Noelle Nelson, assistant professor of marketing & consumer behavior, said some consumers finding better deals outside Black Friday has reduced its overall significance. Other companies have used debate surrounding Black Friday as a branding opportunity, she said. As in recent years the outdoor gear retailer REI has again decided to close for Black Friday, though it pay its employees for their time and encourages them to spend their time outdoors.